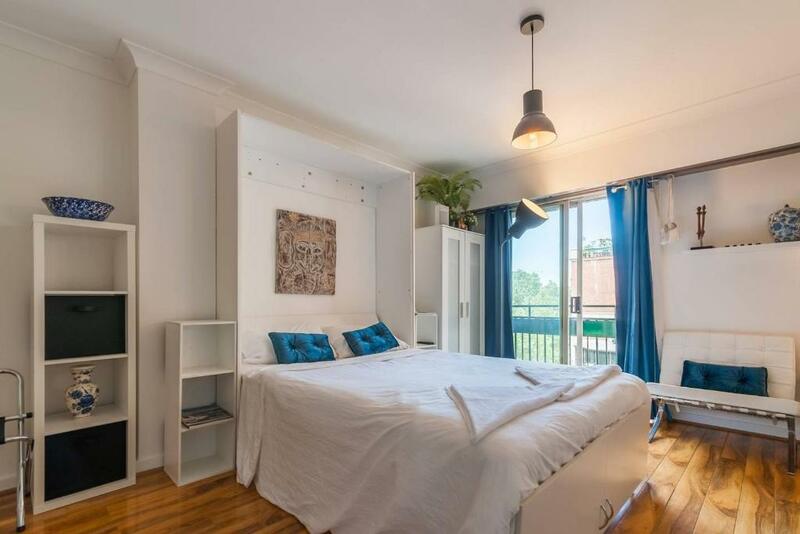 Featuring city views, Studio Sydney is located in Sydney, 1.1 miles from Art Gallery of New South Wales. The property is 1.4 miles from Allianz Stadium and 1.5 miles from Hyde Park Barracks Museum. 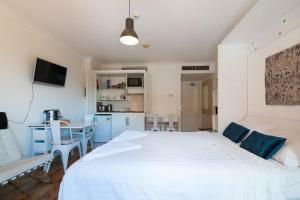 The apartment has 1 bedroom, a flat-screen TV, an equipped kitchenette, a washing machine and a bathroom with a bath. Private parking is available at the apartment. 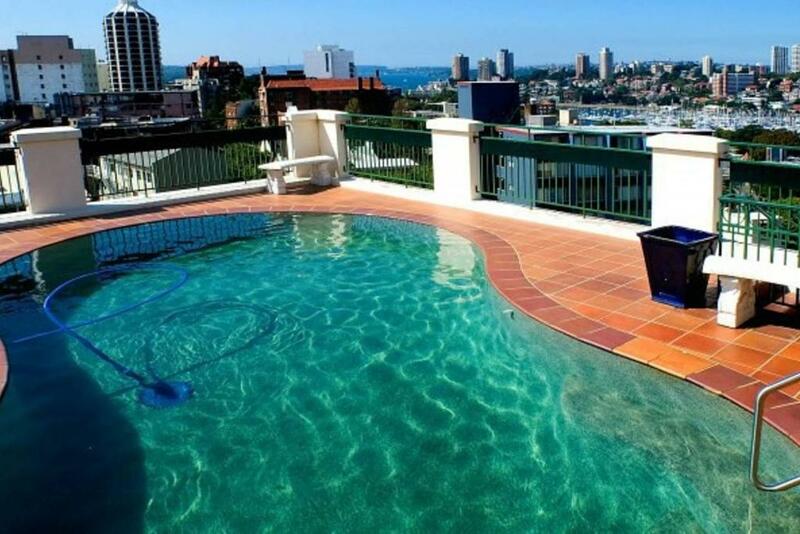 Studio Sydney has an outdoor pool. If you would like to discover the area, fishing is possible nearby and the property can arrange a bicycle rental service. The Royal Botanic Gardens is 1.5 miles from the accommodation, while Sydney Opera House is 1.8 miles away. 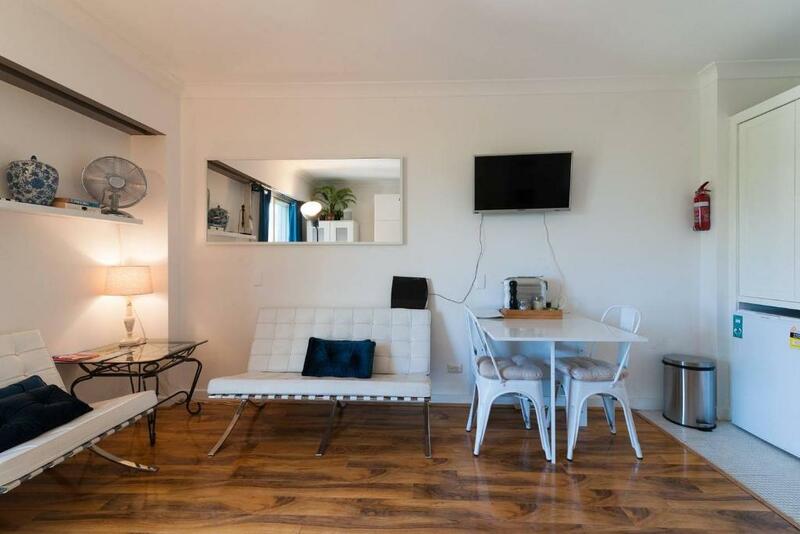 The nearest airport is Kingsford Smith Airport, 6 miles from Studio Sydney. 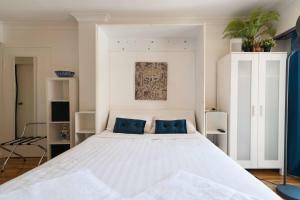 When would you like to stay at Studio Sydney? 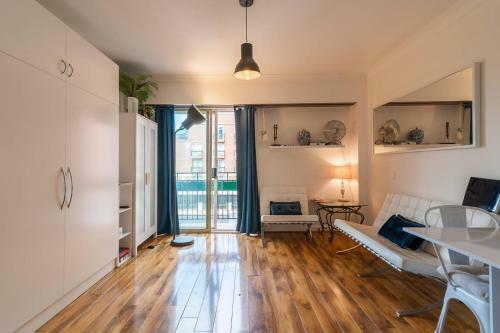 A charming, East facing studio (28sqm) with Juliet balcony overlooking a central square which houses a great coffee shop, a health food outlet, yoga studio, and a nightclub. The building has a rooftop pool with harbour glimpses whilst the studio space has timber flooring, neutral decor, queen"Murphy" wall-bed with innerspring mattress, kitchenette with dual hotplate, convection microwave oven, bar fridge, washing machine, the dining table seats 4 and white leather sofas seat 3 + 1. Completing the picture is bathroom with shower over tub. 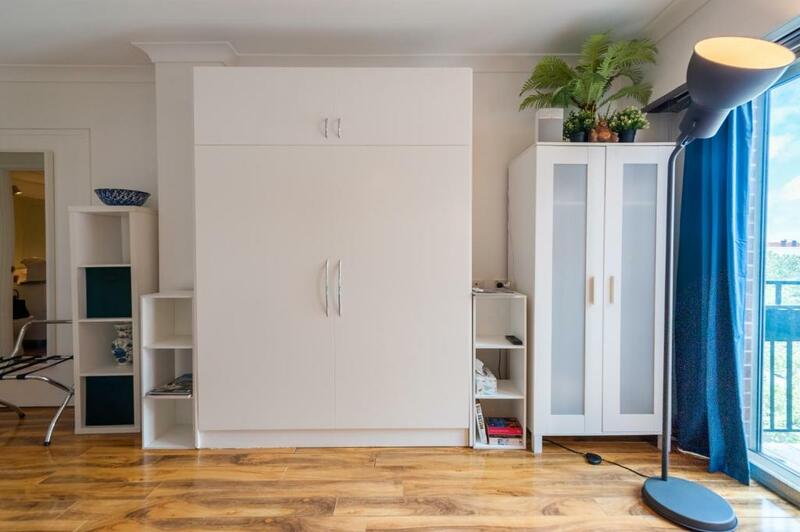 The space is very comfortable for a couple and the location is one of the best features. Of course being in the centre of everything means the studio isn't suitable for light sleepers as the nightclub operates until early hours on weekends. 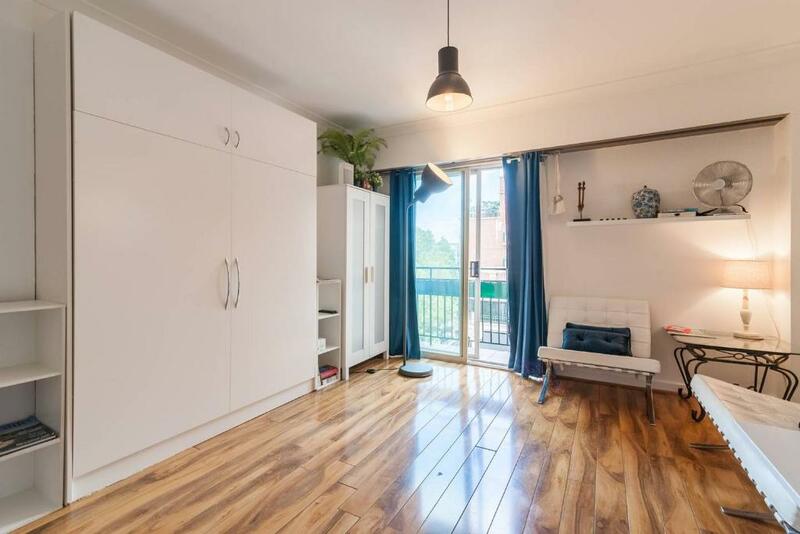 There is a double set of glass sliding doors onto the balcony and when both sets are fully closed, the noise is a low rumble and we provide earplugs! Enjoy an easy, level walk to train, bus, car-share, city bicycles, world class restaurants, cafes, pubs, supermarkets, massage, hair, beauty, barber, Sydney CBD, harbour, CYC marina, Rushcutters Bay. There are also a number of yoga studios and fitness centres nearby + Holey Moley indoor mini-golf. There is a vibrant LGBTQI scene in nearby Darlinghurst where the yearly Mardi Gras parade is held. Potts Point is a leafy enclave very close to Sydney Harbour and although recent "lock-out" laws have really quitened the local nightclub scene, there are so many wonderful places to experience an amazing meal, brilliant coffee, artisan bread and cool bars. House Rules Studio Sydney takes special requests – add in the next step! Please inform Studio Sydney of your expected arrival time in advance. You can use the Special Requests box when booking, or contact the property directly using the contact details in your confirmation. We need at least 5 reviews before we can calculate a review score. If you book and review your stay, you can help Studio Sydney meet this goal.